According to a survey conducted last year in Serbia, on behalf of the Humanitarian Law Centre, the non-governmental organisation with offices in Belgrade, Serbia, and Pristina, Kosovo “suggested that only 23 per cent of Serbian citizens could answer a question about which city was under siege for four years”, said its executive director, Budimir Ivanisevic. “This is the reality that we in Serbia live in, and one of the main motives why we decided to organise this exhibit with the Historical Museum of Bosnia and Herzegovina”, Ivanisevic added. And this is a gripping, emotionally intense exhibition depicting a very recent Balkan past that few of us are paying attention to, which could otherwise makes us wiser, stronger and more mature as citizens of this war-broken region. The exhibition is hosted in the Serbian capital for the first time, however, its strong impact has been identified and noted by every single person who has visited it in the Bosnian capital of Sarajevo. Serbia’s Humanitarian Law Centre and the Historical Museum of Bosnia and Herzegovina opened this Tuesday evening. 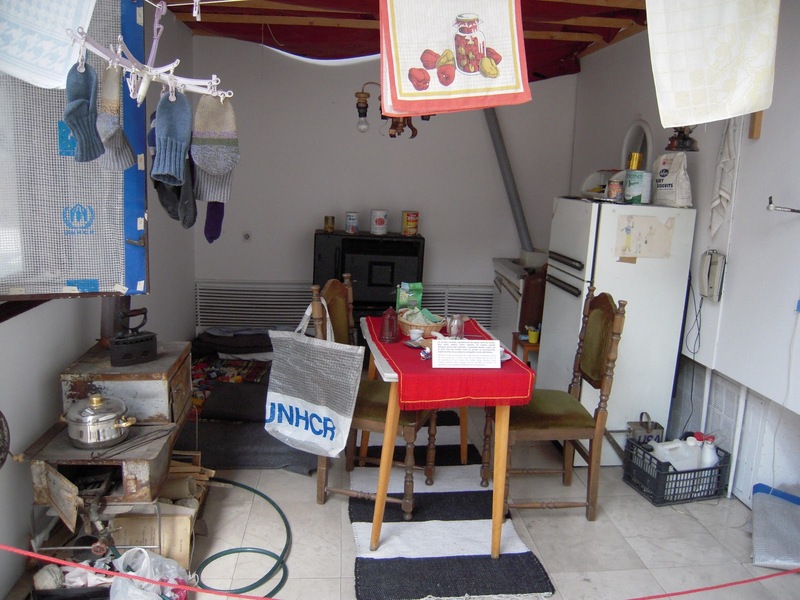 It is a visual “story – telling” of the inhumane conditions Sarajevo residents had been living under for four… years. This is the longest siege of a European capital city in the continent’s contemporary history as well as in the one of modern warfare. The Siege of Sarajevo refers to the siege of the capital of Bosnia and Herzegovina (BiH) which is part of the Bosnian War and lasted from 5 April 1992 to 29 February 1996. The city was initially besieged by the forces of the Yugoslav People’s Army, and later by the Army of Republika Srpska. Personal objects are used as exhibits like items owned by kids who went to school in Sarajevo while besieged images that make reality even more brutal but so ‘tangible’. The “Sarajevo Surrounded” exhibition also “shows how people in the city lived without electricity, heating and water”, BIRN reads, during those fours dark years.